Dr. Khurram Tariq is a Hematologist and Medical Oncologist at the Selby B. Jones Regional Cancer Center, a part of the Appalachian Regional Healthcare System. Dr. Tariq is uniquely qualified as being triple ABIM board certified in the fields of Internal Medicine, Hematology and Medical Oncology. Dr Tariq obtained his undergraduate training in Bachelors of Science at UNC-CH. During his undergrad years, Dr Tariq founded several student organizations including MOSAIC and The Economics Club and was honored with several distinctions, including the university’s highest award, The Chancellor’s Award. He later obtained his internal medicine training at University of Florida in Jacksonville, and went on to receive his Hematology and Medical Oncology training at the Medical College of Georgia in Augusta, GA. Over the years, first as a student and then as a resident and a fellow, Dr Tariq has made significant contributions to the global discussion in the field of Hematology, Medical Oncology, Nephrology and other areas of Internal Medicine with numerous publications in reputable medical and scientific journals. 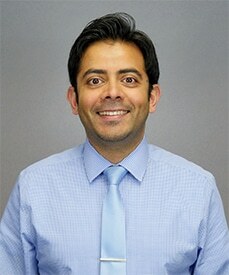 During his fellowship training, Dr. Tariq played an integral role in diagnosing a 21 year old young female patient with TAFRO syndrome: A very rare disease that initially led to hepatic dysfunction, pulmonary and renal failure and a near-complete fibrosis of bone marrow in a previously active and healthy female. She eventually had full recovery after treatment with a novel drug and gave birth to a healthy baby. This is only the third case of TAFRO ever to have been diagnosed in the United States and the first case of TAFRO in an individual of African American descent. In appreciation of his academic and leadership contributions to the field of medicine in the early stage in his career, in 2018 Dr. Tariq was inducted as a Fellow in the prestigious American College of Physicians and earned the title FACP. In his personal life, Dr Tariq was born in Pakistan. He grew up in Cary, NC, and went to Cary High School. He can speak several different languages due to his diverse background. Dr. Tariq loves to travel and has been to different parts of the United States and abroad, including three trips to Alaska and several visits to the Himalayan mountain range in northern part of Pakistan, which is home to six of the eight tallest peaks in the world, the tallest desert and some very good fishing—a hobby he enjoys dearly. In the year 2007, Dr Tariq was awarded with a travel scholarship through UNC to document an ancient tribe in the remote part of the Himalayan mountain range believed to the be descendant of Alexander the Great. Dr Tariq is blessed with a small family comprising of his wife, a mother and two sisters living on east and the west coast. He loves to spend his free time with family and friends.